Sangram Singh, who became world wrestling champion from a paralysed boy, a motivational speaker, social worker and an actor. 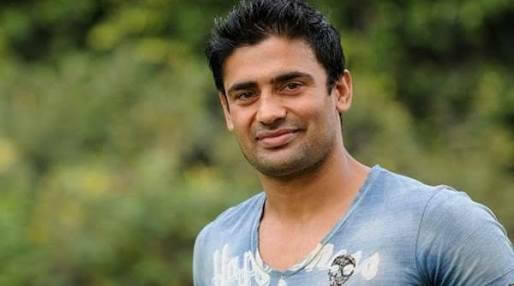 In 1985, Sangram Singh was born in a small village called Madina in Rohtak district of Haryana. His father was a government employee. Singh had a tough childhood. He was born premature and got stricken with Rheumatoid Arthritis at the age of 3. And it became severe with time and led to paralysis. His body stopped responding to medicines and left him on wheelchair. He was not even able to lift his hand or hold a glass of water. His life became totally dependent on his family. He spent his next 8 years on wheelchair. But this didn’t paralyse his mind. His elder brother was a wrestler. When he was six years old, sitting on wheelchair and watching his brother’s matches, he decided to become a wrestler like his brother. His father did not approve of him to be a wrestler but his mother and mentor supported him. Other than his family and mentor, everyone laughed at his dreams and said stop dreaming impossible things. But Sangram was determined and did not give up on his dreams. His mentor Pandiji used to narrate him motivational story of Lance Armstrong who overcome his cancer. It was the time when he was going through physical as well as financial difficulties. The wrestler underwent message’s & ayurvedic medicines and yoga at home. His family and mentor supported him through his journey. But it was his strong will power that he started to stand on his feet without any support within six months. He started with trying to pick up glass. Despite of many failed attemps, he never gave up and kept pushing his limits. Because of his continues efforts, at the age of 13, he was on battle ground. But other kids could easily defeat him because he was quite weak and thin at that time. He used to analyse the moves of other wrestlers and practice them alone. He gained weight and became strong within next 2 years, because of his disciplinary routine, regular exercise, yoga and strict ayurvedic diet. Sangram got selected in Delhi police and continued his wrestling. He started representing Delhi police at national wrestling events. He won silver medal at National level in 2003. In 2006, he won gold medel at International wrestling championship in South Africa. In 2007, he failed to follow rules because of some misunderstanding and got dismissed from Delhi police. But he did not take this negatively and started to work harder and won All India Open Wrestling Championship by defeating his opponent in just 33 second. In 2011, he won title of “Mr. India” at national bodybuilding Championship. In 2012, during a fight in South Africa he nearly died of suffocation, because his opponent was on him for 10 minutes. After this match, Sangram Singh was awarded with title “World Best Professional Wrestler” for his style and stamina by World Wrestling Professional. In 2014, he became the brand ambassador of Wrestling Federation of India. The same year he was selected as face of voter awareness campaign for election in Rohtak, Haryana. In 2015, he signed death contract (last man standing match) for commonwealth Heavy weight Championship held in South Africa and won the same championship. The next year, in 2016, he again won the same sort of Commonwealth Heavyweight Championship with death contract. In same year he launched Champion’s pro Kushti to promote wrestling. Sangram Singh’s story has been included in 7th standard Hindi Textbook of CBSE board. An educational institution affiliated to Punjab Technical University has started a scholarship program on name of Sangram Singh. Indian Army choose him as motivational speaker for the soldiers. He also participated in number of TV reality shows like Survivor India, 100% De Dhana Dhan, Big Boss, Sach Ka Saamna and Nach baliye. He also acted in Bollywood movie called Uva. Sangram Singh is quite active in social work too. He is the brand ambassador for People For Animals (India’s largest organisation for welfare of animals). He had also adopted a government school from Maharashtra and 14 students from government school of his native village. Sangram Singh overcame his paralysis because of his dream, dream to became a wrestler. Once he saw this impossible but it was his will power, hard work and his love and passion for wrestling that made him achive this impossible dream. There was time when people used to feel pity on him because of his disability and today he is invited to reputed institutions like IIT for motivational lectures. The world champion believes that he achieved all this because he believed in his abilities, sincere hard work and burning desire to be a wrestler.